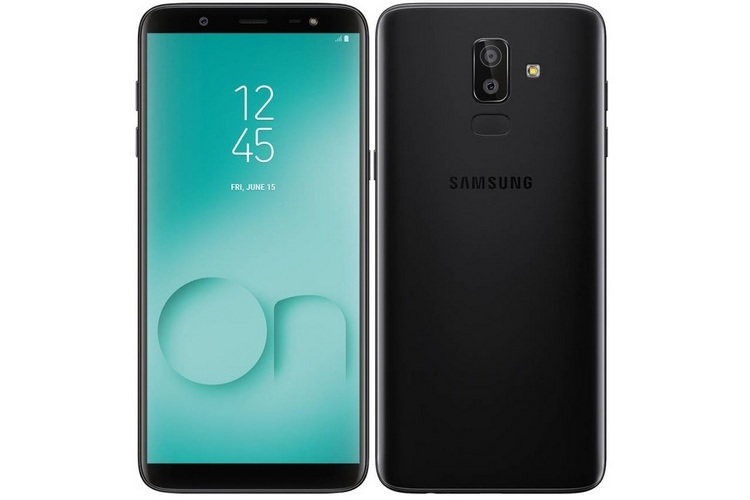 After several leaks over the past few weeks, Samsung has finally launched the Galaxy On8 (2018) mid-range smartphone in India. The device is a successor to the original Galaxy On8 that was launched back in 2016, and will be sold exclusively on Flipkart and on Samsung’s online web-store. The Galaxy On8 (2018) will go on sale from August 6 at a price of Rs. 16,990. The Galaxy On8 comes with a modern, elongated form-factor, but has fairly ordinary hardware that might fail to impress Android aficionados. It has a polycarbonate shell, and features a 6-inch HD+ (1480×720) Super AMOLED Infinity Display that comes with an 18.5:9 aspect ratio, and is protected by Corning Gorilla Glass 3. The smartphone is powered by Qualcomm’s Snapdragon 450 SoC, and comes with 4GB of RAM and 64GB of internal storage that can be expanded with a microSD card. On the rear, the phone sports a dual-camera module that includes a 16MP primary sensor with an f/1.7 lens and a 5MP secondary sensor with an f/1.9 lens. There’s also an LED flash to help illuminate low-light scenes. Software camera features include Background Blur Shape, Portrait Dolly and Portrait Backdrop. For selfies, the Galaxy On8 (2018) offers a 16MP sensor that comes with an f/1.9 lens. On the connectivity side of things, the device has 4G VoLTE, Wi-Fi, Bluetooth, GPS/ A-GPS, Micro-USB, and a 3.5mm headphone jack. The Galaxy One8 (2018) packs a 3,500mAh battery, and runs Android 8.0 Oreo with Samsung Experience UX on top. The device also comes with Samsung’s Chat Over Video feature that enables chatting while watching a video. As mentioned already, the Galaxy On8 (2018) will be sold exclusively on Flipkart and on Samsung’s online web-store. It is currently listed as ‘Coming Soon’ on the former, and will be available for purchase from August 6 at a price of Rs. 16,990. Launch offers include ‘No Cost EMI’ options for eligible users, while Axis Bank Buzz Credit Card holders are eligible to get an additional 10 percent discount.